Can you put oil in your hair everyday? It’s no secret that black hair is very delicate and breaks easily. 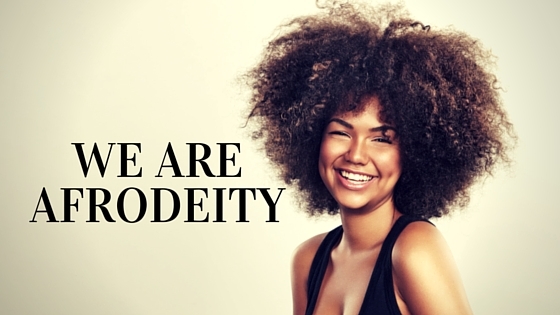 Our hair’s naturally dry nature is perhaps the main reason a lot of the breakage happens. As a result for as long as most of us can remember, we have been told that we need to put oil in our hair everyday so that it does not break. Is this sound advice? Let’s take a deeper look at the effects that oiling hair daily can have. We should be careful though to make the distinction between hair that is well moisturised and hair that oil has been applied to. While these are distinct processes, they work well together and our hair actually needs both. 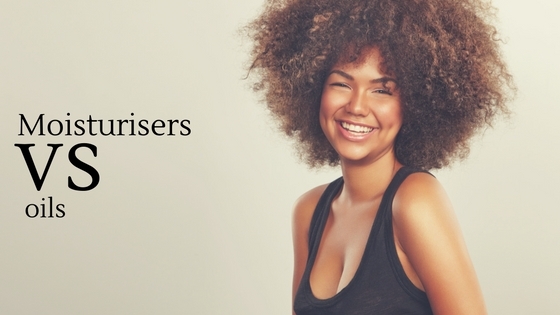 Prior to any oil regimen, for the best results you should ensure that your hair is properly moisturised. The best type of moisturisers to use is those that are water based. When buying a moisturiser, make sure that the first ingredient listed is water and that it does not contain mineral oils or petrolatum. The moisturiser will hydrate the hair and then the next step is to trap or seal the moisturiser in by applying oil. Natural oils should be used to seal in moisture; oils like castor, shea, jojoba and coconut are some of the types that you should consider. As always, oils that contain petroleum based products or mineral oils should be avoided. Should I Use Oil Every Day? While many recommend that oil be applied to the hair every day to maintain moisture, there are a few factors to consider as what works well for some people might not work for others. Some hair types allow you to apply oil every day and yet it maintains a healthy appearance, looking hydrated with slight sheen, but never greasy. For others, if they were to try a daily oil regimen, their hair looks super greasy, thus unattractive and becomes difficult to manage. Therefore, how frequently oil can or should be applied to the hair will depend on how well their hair can or needs to be oiled to retain moisture. If hair is washed every day or several times a week, applying oil it is probably a good idea. It will help to prevent breakage or damage that can come from frequent washing. The oil should be applied to the hair just prior to washing it may minimise damage. For persons who apply oil to their hair and scalp daily, they report that there are a number of benefits derived from this practice. It is said that when natural oils are massaged into the scalp, it stimulates hair growth and minimises shedding. If you were wondering how you could use essential oils to stimulate hair growth, we found this great post on just that! For those persons that may be having a problem with their scalps, such as dandruff, using specific essential oils such as tea tree oil, oregano oil or neem oil have been used to treat dandruff and fungal conditions of the scalp. Applied daily or regularly, these essential oils help to clear up problem scalps but as stated before, the key is to know how your own hair type and scalp responds to the daily application of oil and this will help you decide if this regimen is right for you. We’ve all been there. 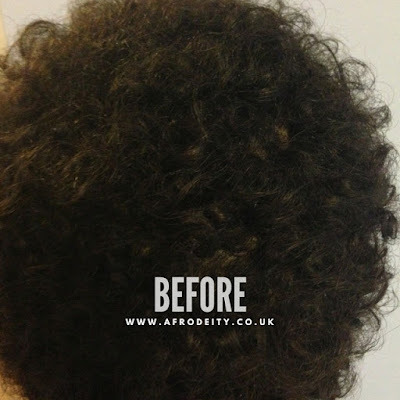 Whether we sport natural curls or a perm, from time to time, our delicate hair breaks and sheds causing us all kinds of anguish as we try a wide variety of different methods to stop the breakage and restore our tresses to their former healthy state. The truth is that breaking and shedding are almost impossible to eliminate completely as no matter how well you treat your hair, there will be some amount of breakage, and shedding is a natural process, although some shedding can be caused by health issues. There are however measures that you can take to minimize the breaking and shedding that your hair will experience. 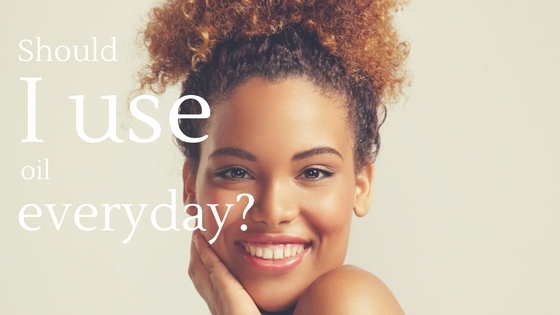 It’s all about how you treat your hair on a day to day basis; some activities you do daily, while others are done once per week or a few times per month. If you practice these 6 tips, you will be sure to see a vast improvement with your hair. It’s hard to believe with all of the information that we have available now, but many people still think that black hair can withstand any harsh treatment. However nothing could be further from the truth; black hair is actually the most delicate of hair types which breaks easily if not properly handled. In general, you should be very gentle when handling your hair. Be sure to use to use combs and accessories that will not break or tear your hair. 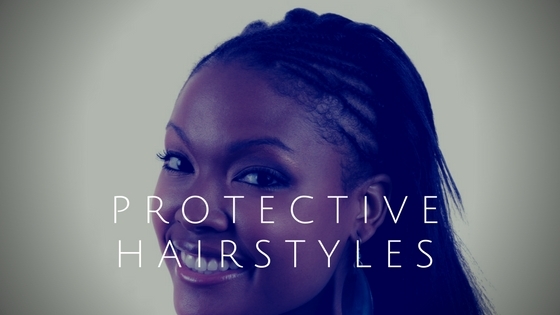 Go for styles that protect your hair rather than cause damage. Using ponytail elastics for example, tugs hair which can break it from the roots and the metal section on the elastics will break your hair. One of the main causes of hair breakage is dryness. 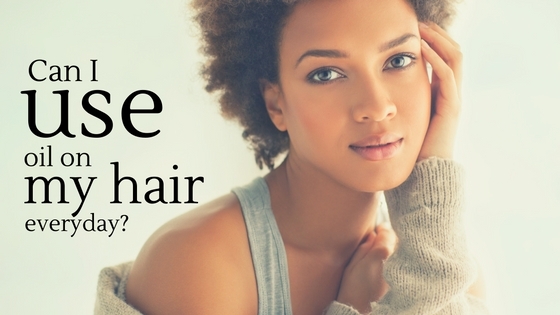 Black hair has the tendency to be dry and effort should be made to keep your hair moisturized to minimize breakage. One of the keys to well moisturized hair is to use conditioners after shampooing and using leave in products applied after shampooing and conditioning and periodically on hair before your next shampoo. 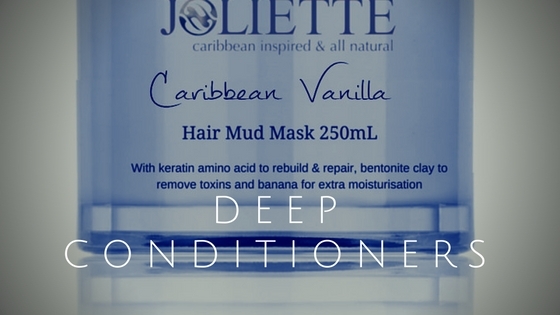 It is also recommended that you deep condition your hair at least once per month. Hair is made up of approximately 70% keratin protein and so it is easy to see why protein treatments would help to stop hair from breaking. Protein treatments are more critical for women with relaxed hair as the chemical process breaks down the protein in the hair. A regular protein treatment then will help to restore what has been lost in the chemical process. However, too much protein can also cause the hair to become brittle so it should not be done excessively and each time a protein treatment is done, it should be immediately followed by a moisturizing treatment. It is never a good idea to try to detangle your hair when it is wet, neither with comb or brush. This is when your hair is at its most delicate and will break very easily and so it’s better to detangle when the hair is damp. Some persons detangle the hair when it is saturated with conditioner while others comb through their hair prior to washing and some may keep it in loose plaits while shampooing to prevent detangling. Many of us gasp at the suggestion of trimming hair that are trying to grow. However, it is very important to trim hair so that damaged ends to not damage the rest of the hair. If you have spit ends for example, left un-trimmed the hair will split all the way up the shaft, extending the damaged portion of the hair, causing you to lose more of it in the long run. When hair breaks or sheds from the root, it is sometimes a sign of some type of vitamin deficiency or poor diet. We are indeed what we eat and one sure way of growing your hair and keeping it healthy is by adding lots of vegetables and fruits to our diets. Drinking lots of water is also important as is exercise. If you are fit and well nourished, your hair will look fabulous! We were really pleased to be able to review these great clippers from Braun. My son Sebastian was really excited to use these clippers. The bright blue colour and the size was perfect for his little hands. So what does Braun say they do? 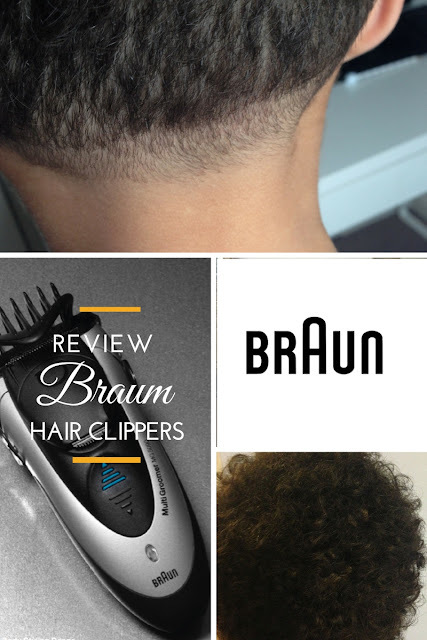 The Braun Hair Clipper has ultra- sharp secured blades for high performance, which are lifetime lasting for ultimate hair clipping. 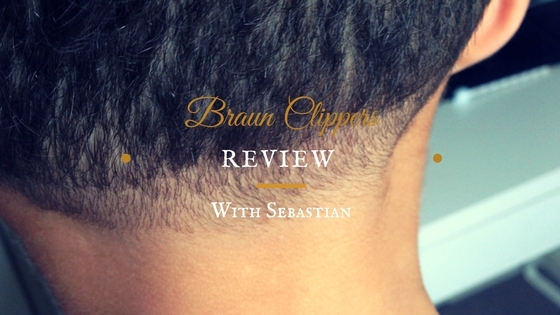 Sebastian loved these clippers (and his Dad loved them too!). We loved that they were washable, which made clean up much easier. They also used the shaver socket in the bathroom and they were chargeable, so you could charge it in the bathroom and take it anywhere because it is cordless. All these things were such a step up from the clippers we had been using. The only drawback was the adjustable comb is hollow if it is set too long, the hair can get caught and tangled up in it, but I do suppose it depends on your hair type and to be quite honest Sebastian's hair hadn't been combed or trimmed for a few months. 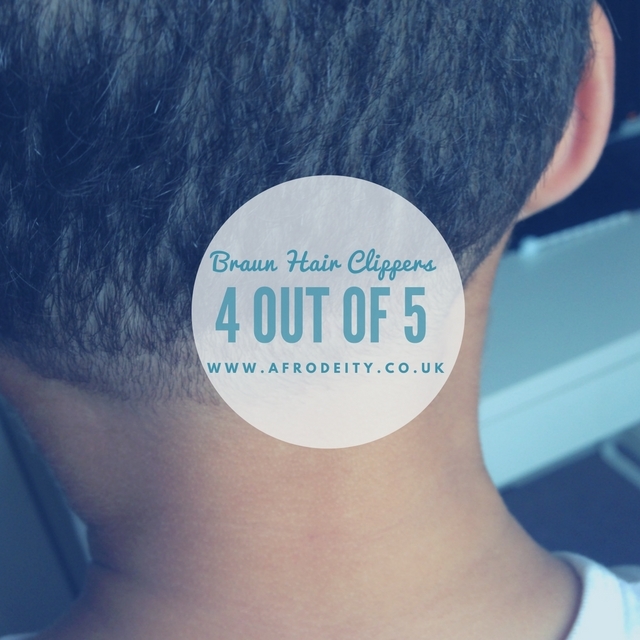 This is the only reason we decided to give the clipper 4 out of 5 as it pulled on his hair quite a bit. However we have only used it the one time. Several more uses might prove different results. Clippers can be great for both men and women and with shaved styles becoming more popular, I know these will come in handy for me too. 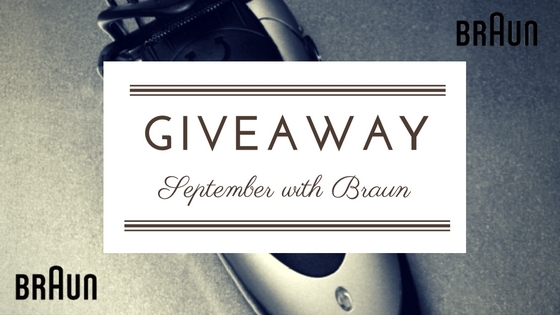 Dont forget to sign up for our September giveaway in the bar below and a chance to win a Braun Multi Groomer, for yourself or a loved one. For most of us, when we were kids, we could not wait to get our first perm or relaxed hair. Many of us viewed it as transitioning from being a little girl to somehow becoming more worldly or sophisticated. In many cases we end up keeping our hair relaxed for a long time until something prompts us to change. Sometimes its natural hair envy; seeing our sisters and girlfriends rocking fierce natural styles that are so beautiful we want it for ourselves. 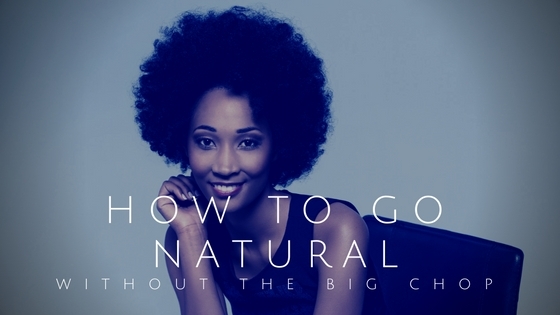 Sometimes it’s the severe damage that our hair suffers, either from heat styling appliances, over relaxing or just improper care, that forces to make a change to restore our hair to its former beauty, hence the decision to go natural. Whatever the reason for wanting to go natural, the biggest decision that you will have to make is should you go ‘cold turkey’, chop of all your processed hair and have a teeny weeny afro until your hair grows out or should you choose the less painful approach and gradually transition from one hair texture to the other? Many women are choosing to transition rather than to do the big chop, let’s look at how you can do the same. Transitioning as the name suggests is a gradual change from processed to natural hair and both textures are kept until the natural hair grows to the desired length and you are ready to cut off the damaged ends. 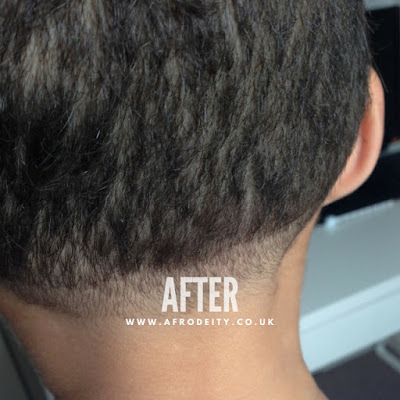 The benefit of this approach is that one is less likely to return to previous damaging practices as there is more hair length to work with. Some people may have a challenge with suddenly short tresses and this can create stress for them having to manage a totally new hairdo all at once. 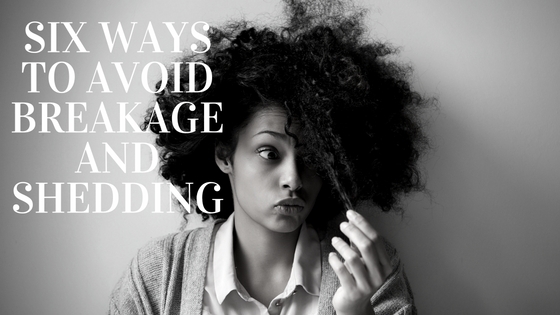 For others, having relaxed hair for years, it’s sometimes not easy to take on managing natural hair and many women get so discouraged that they return to relaxers in a moment of frustration only to regret it later. The first step is to immediately stop whatever action was causing hair damage; so if relaxers were the culprit, you stop relaxing or if colour treatments like dyes or bleaching were causing damage, you cut out those practices as well. During transitioning, you will be handling both the new natural growth and the processed hair and it’s critical that you handle your hair with care but especially at the point where the old meets the new. This line of demarcation is extremely delicate and if not handled properly, it will break, defeating the purpose of transitioning. With this is mind you should consider the following tips on how to handle transitioning hair so that you get the results you want. You can use heat styling but keep in mind that heat causes damage, so use with extreme care or have a professional do it for you. Whether damaged or not, black hair does need to be deep conditioned and if the hair is relaxed a protein treatment is needed from time to time. Ensure that you do a deep condition at least once per week and a protein treatment for the relaxed portion of the hair at least once per month. Transitioning is not easy but it can be done but if you take the time to give your hair the care it needs during this period, and have patience, you will eventually be rewarded with those gorgeous natural tresses that you are longing for. I am truly looking forward to this one, it seems like a great read especially for Dads to share with their daughters and I just love the concept behind it. Well Done Tola, we are truly looking forward to more. As a scientist this book caught my eye straight away, I could honestly see myself in this book and cant wait to get my hands on it. Zunammie Keren, author of Baby's First Fruit eBook is encouraging babies to learn how to read – using tablets and other mobile devices. Children are very drawn to technology and instead of having them roaming freely in the dangerous waters of the Internet, Keren feels that digital eBooks like the ones she creates are a much safer way for young children to learn how to read and use tablets. 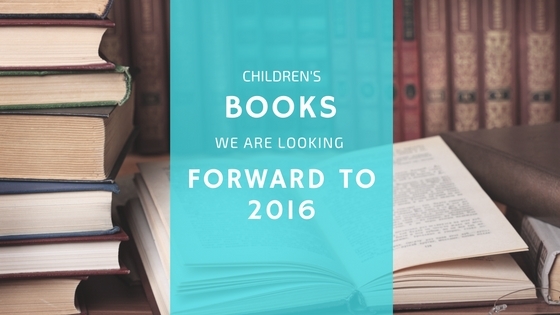 I love the idea behind this book by Jamaican children's book author Zunammie Keren. 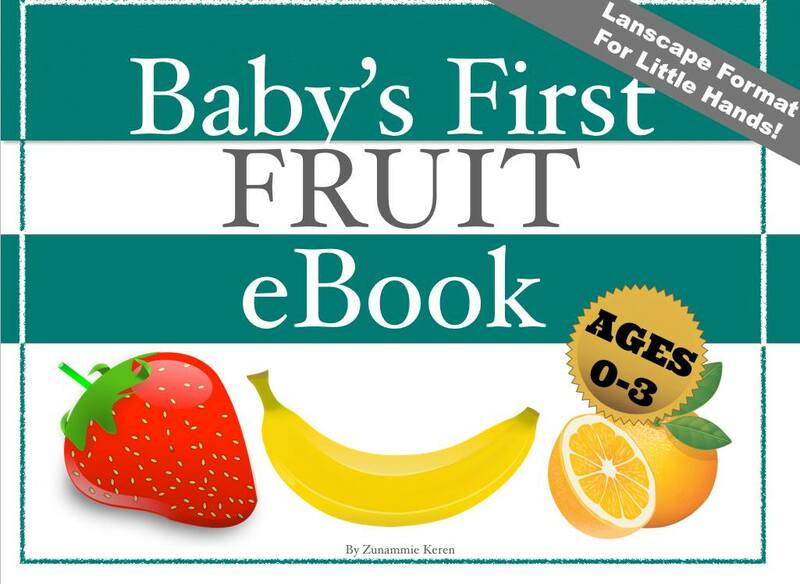 An ebook for babies sounds like something any modern child could enjoy. After meeting Merrissa, you can straight away see that she is creative force to be reckoned with. Is there anything she cant do, from dress making to jewelry, her talents now extend to children's books and I cant wait to get my hands on this one too.